Just want to cruise around Downtown Las Vegas while learning to master a Segway PT? 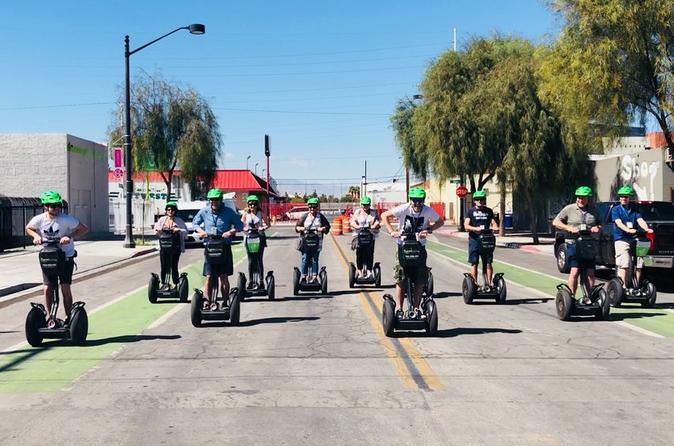 This tour begins with a short training session to get everyone acquainted with the Segway PT and then departs so you can glide all throughout historic downtown Las Vegas. This tour is light on information and focused on riding the Segway PT. This quick, 1-hour option is perfect for those who may not be interested in a fully guided tour but just wanted to learn how to ride a Segway. After a 20-minute training, start cruising through Downtown Las Vegas while focusing on a fun ride while passing many of the iconic sights that make Las Vegas famous. You’ll be treated to cool and interesting sights however due to the express nature of this tour you will not be able to make any stops for photos.